Is The Smith and Wesson Shield A Good Concealed Carry Gun? Blog Is The Smith and Wesson Shield A Good Concealed Carry Gun? When looking at self-defense centered firearms I look for three specific areas of need fulfillment. Reliability must be better than 99% with premium defensive ammunition. I will need to practice regularly, what has the most efficient combination of defensive raw defensive capability and cost allowing for regular practice? Lastly, what offers the greatest amount of defense for my skill set? I also do not rely on mouse calibers for defensive use. I do use them, I simply do not rely on them for daily carry. Since the early 2000’s for myself, I have used Glock handguns in 9×19 almost exclusively for defensive purposes. Early in my life I had and used a mash-up of .22lr, .22mag, .32acp, .40sw, .45acp, .38super, .357sig, .357 mag, .38, .44mag, .41, .380, 9×18 and even 5.7×28 for a few brief fleeting moments of personal insanity. I have carried and used roller guns (revolvers), derringers, single shot pocket pistols, 1911 pattern handguns, multiple variations of the striker fired approach and a few eastern bloc blowback hammer fired guns that were actually very reliable. What I have found with time and many many hundreds of thousands if not multiple millions of rounds downrange during classes I have taught, been apart of or assisted with; all guns/ammunition and combinations may fail, but some will fail more than others. My goal, therefore, is to ensure that the firearms I use and rely on are reliable 99.9% of the time with the ammunition that performs 99.9% of the time in its role of penetration, expansion, and transfer of kinetic energy into a target. I firmly believe that Glock is the standard to which all other currently manufactured handguns should be held with regards to overall long-term durability, reliability, and function. After recently breaking down and shooting a Glock 19 gen 5 I also believe that my previous choice of a gen 3 Glock 19 is no longer top of the proverbial pile. While the gen 4 had some major and minor issues, the gen 5 has really stepped up Glock handguns game and will keep them at the top of the stack for many more years. The second or in some cases depending on individual choosing first choice as an alternative is the Smith and Wesson M&P and Shield handguns. It is my opinion based on reasons I will explain shortly, that the Smith and Wesson Shield and Shield 2.0 are in fact the best of the pocket pistol shooting full sized ammunition on the market today. And yes, I mean that this handgun is superior to the Glock 43 and in my strict opinion the Glock 26/27 as well. Now before you get to upset, let me explain and prove to you why I believe this is the case! When you want a full-sized (caliber) concealed handgun for self-defense 9×19 really is the best choice. It offers a superior capability with lower recoil than .40sw and in some cases and with some ammunitions better overall performance as well. Modern defensive 9×19 loadings are superior to .45acp/ .357mag in overall performance, capacity and user ability over a wider spectrum. If you choose to shoot the other calibers than by all means enjoy doing so, but I would suggest testing the function and performance against some Russian Hybrid hogs before making any statements of “fact”. All of my testing has been both static with gelatin/water and or active targets (Russian Hybrid hogs and javelina locally). When you look at similarities between hogs and humans as far as function, body mass and bone density you will quickly see the extreme benefits of using these feral extreme pests as test beds! With the caliber question answered, why do I believe the Shield original and 2.0 to be better than the Glock 43? After having shot both brands and various models of each brands offering as well as other micro compact handguns on the market including the Ruger LC9s (which I liked but which takes at best the third spot in my list) I can make a reasonable judgment of these handguns. I did not make up my mind easily nor did I do it based on ONE example of both. I am using data from multiple versions of each and both my results first hand and the results of individuals I trust added in. Glock 43 – 7.5 to 8 lbs and a bit mushy admittedly Glock triggers have always been a bit of a downer, though the gen 5 models have done a good job fixing this common gripe. So now we see the comparisons and honestly, they are all similar in most areas. How does each of them shoot and what is their reliability. Overall under heavy use (250-500 rounds in a sitting), each one performed to defensive pistol standards of reliability. The Ruger LC9s is the newest kid on the block and where it shines greatest is its cost versus the others. The downside is spare magazines are $23 to $40 apiece and only hold 7 rounds. Ruger only ships a single magazine with each handgun, this alone is a negative as you need a bare minimum of one spare magazine for any defensive firearm. I did have some minor issues with ammunition selectiveness with the Ruger LC9s, this is overcome by using premium defensive ammunition or premium practice ammunition, which can, of course, defeat the low price of the firearm itself. There was one issue with a bad magazine, which should not happen when you only get one magazine. Glocks’ 43 met and exceeded reliability, durability and ammunition capability and performed as we know Glock will (unless it is a gen4 or an early gen2). The real downside for the Glock 43 is the 6 round capacity of the magazine. Add in the relatively stiff and mushy trigger and you can see why I would not want this handgun as my primary carry for defensive purposes and use as an extremely concealable firearm. If you are someone carrying this firearm in a purse or bag off the body you may want to have an external safety and while I do not use one personally, my wife, in fact, does prefer one for when she is carrying off body. The Glock does not offer this feature and neither does the Ruger LC9s. Magazines are easily found and purchased, though, the Glock 43 does ship with 2 magazines and of every magazine I have ever tested Glock magazines are hands down the most durable and well made overall. So now we get to the Smith and Wesson Shield and Shield 2.0. The differences between the two Shield models are mostly cosmetic with some minor improvements in the trigger on the 2.0. 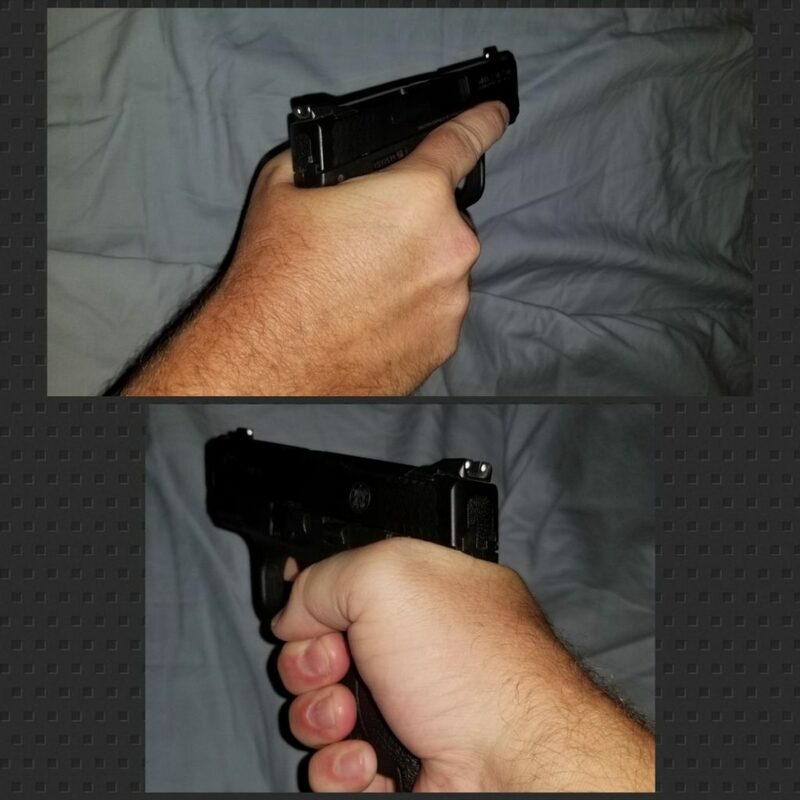 You can get an Apex trigger for the Shield and if you shoot the stock trigger and realize it is a bit rough, understand the Apex trigger really does smooth it out and makes it even better. Overall the trigger on the Shield is far better stock than the Glock 43 and equivalent to the Ruger LC9s trigger in how it feels and resets. The Shields I have shot and those around me have used all have eaten everything we fed it. I do mean everything, the only malfunctions I have had with my Shield and those of my close friends have been ammunition related. The Shield I purchased for my wife is a Shield and is not the newer 2.0, it has functioned flawlessly and I have run a few hundred rounds of ball ammunition and defensive ammunition through it with no malfunctions or issues. In response to the question, “Is The Smith and Wesson Shield: A Good Concealed Carry Handgun?” Personally, I will say that yes it is the best. It is easy to conceal comfortably and is very accurate at defensive distances. In addition, I will say, you are well armed with any of the above-mentioned handguns. Make sure you put 250-500 rounds of defensive ammunition and 500-1000 rounds of practice ammunition through your handgun before ever trusting your life too it. A good defensive firearm will function flawlessly with your chosen defensive ammunition for a minimum of 250 rounds. 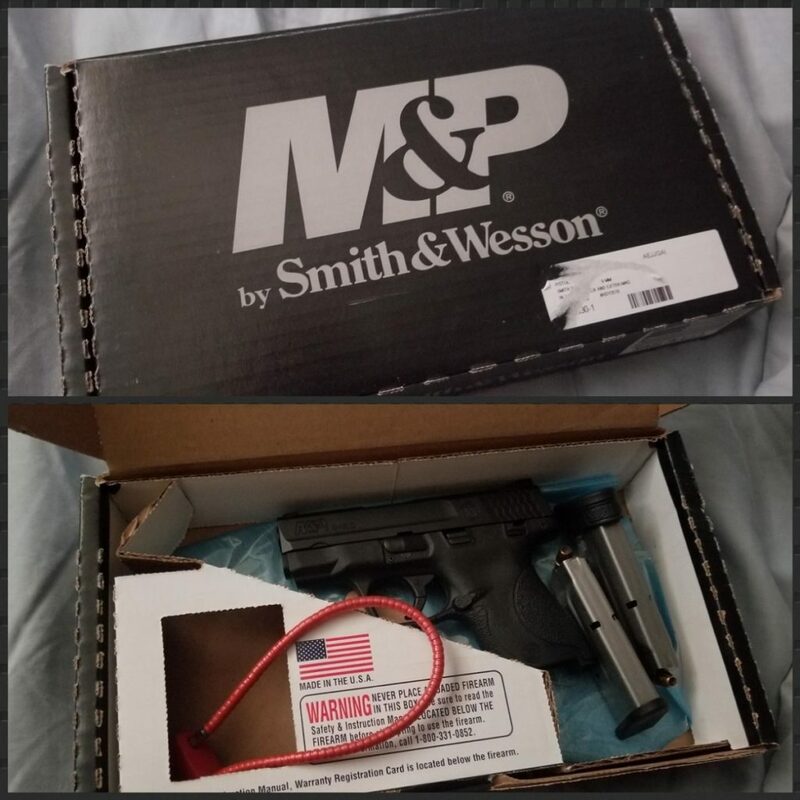 I hope you got some good information and can better understand these firearms and why I choose the Smith and Wesson Shield (or Shield 2.0) for my very small concealed carry handgun! Personally, I like and use the Ruger LC9s. I just got the last of my “upgrades” to it. I now have an OWB Kydex holster for it and the CTC Laser. I added the Tritium Fiber-Optic sights as soon as I got it (as I do will almost all of the guns that I have that they make them for). Now, for some serious range time with it! I did not like the fit of the S&W, just wrong for my hand. I do like the Glock but I can buy a fair number of extra mags for the price difference (usually $15/mag). JP, ^^ exactly – fit is important – I dont carry one regularly however, I do trust them! Thanks Jesse. Appreciate your articles! ALL: Given trump’s win in 2016, prepping hit a saturation point or downturn. It’s good to see MD is still @ it, as well as the rest of us remaining souls. My take is that as long as the swamp remains intact, the natural by products (crime & terrorism) will not go away. The socialist punks have ramped it up, hoping to get any of their ilk elected. Those elected will likewise ramp up their lunacy & continue to screw up an already screwed up Washington DC. Jesse, any thoughts on Springfield in 9mm sometimes used by military? One group of preppers I hung with were big on them, many of them were military. Bobbo, the Springfield XD model is a Czech made firearm that to my knowledge has never officially been used by US military forces. The smith and the glocks are most used and abused by both le and mil/ with the beretta being issued until recently in us army/ and the sigp320 being issued now for us army- *I would stay away from sig over the years my experiences have not been good- though like 1911s I am certain someone has a good one probably many have good ones. 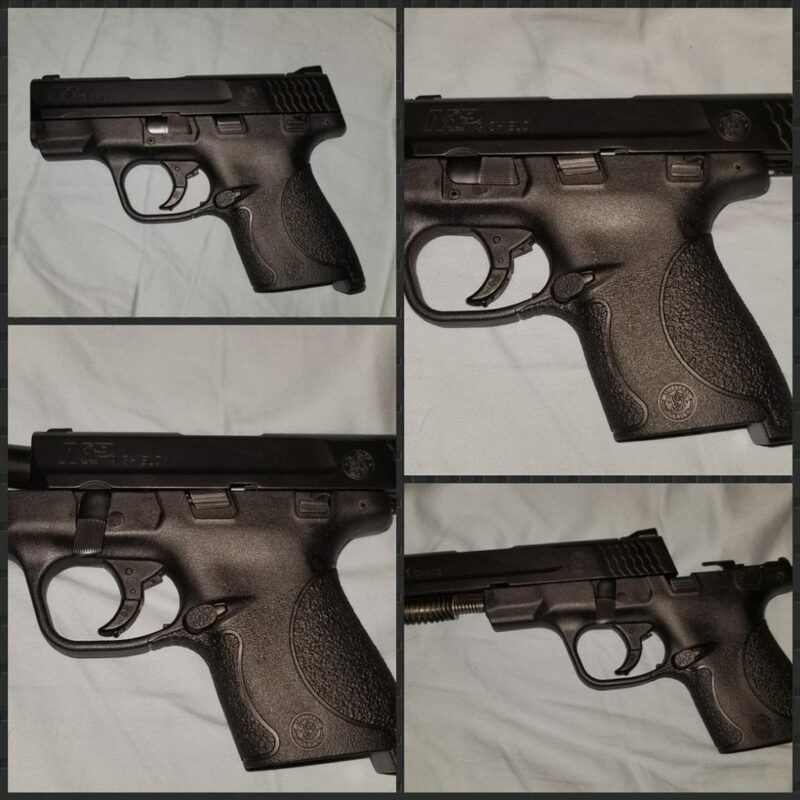 The Springfield XD is a ‘Croatian’ made firearm…. CZ’s are made in Czechoslovakia. SIG now uses MIM parts that are made in India. They also have been beset with issues including the P320 not being drop safe and the new P365 also needing to be sent back to be fixed. I agree with the G17/19 or M&P. Though if you want a DA/SA pistol then CZ and Beretta are worth a look. S&W shield 9 mm was my EDC for several years. It was a great gun and as accurate as I could make it be. In other words, it had the potential to be more accurate than my ability would allow. There is just one thing I should warns those that are considering this as a carry option. Be very diligent with your clean and lube schedule. I wasn’t, and one day at the range, I took it out of my IWB holster, shot till the magazine emptied, and couldn’t get the mag release button to budge. This was all my fault for not sticking to a reasonable clean and lube schedule. I soaked the button down with some spray lu e, let it set for a few minutes and I was able to get the mag release button to once again work as it should. What if I had to do a mag change in the mist fire if circumstances? Bad BCtruck! Bad!!! I am much better at cleaning my EDC now. Though now, my EDC is a nickel berreta cheetah in .380.